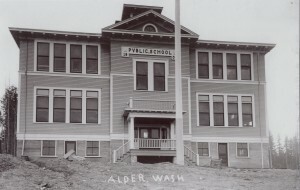 The new Alder school was built in 1909. 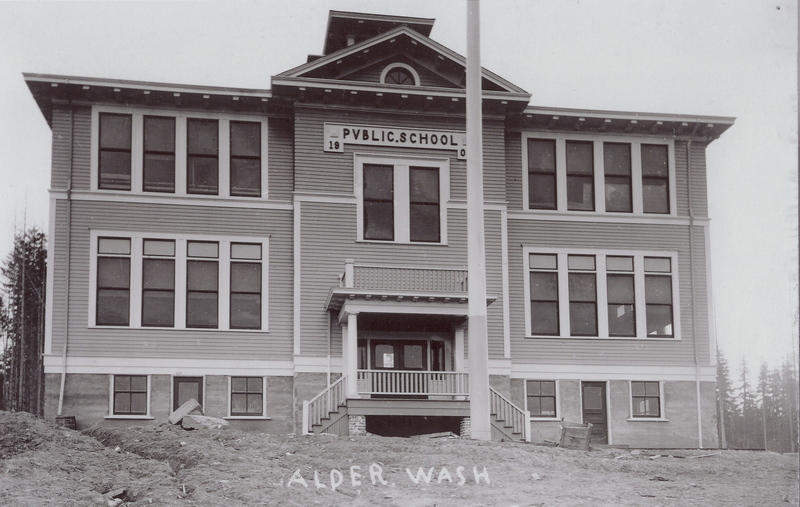 Rod Scurlock reminisces about his days a school kid there in his book Old Alder. “Discipline in schools was different hen. The south bench kids were walking down the south side of the highway after school on afternoon, and the north side kids on the north side of the highway. Words occurred, and soon became rocks. One of the north side kids threw a rock that hit a south side girl in the forehead. Rod says there were eight grades in the school — grades one through four in one room and five through eight in the other — with one teacher per room. You even though many students got their exercise walking to school (some coming several miles) it didn’t stop them from enjoying recess. “Everyone participated in the games, boys and girls together. Favorite sports were baseball, basketball, pom pom polaway, hockey (with vine maple clubs and tin cans), and less vigorous sports for the little ones. Torn shirts for pom pom polaway, and bruised heads, arms, and legs from the hockey were the oder of the day,” says Rod. 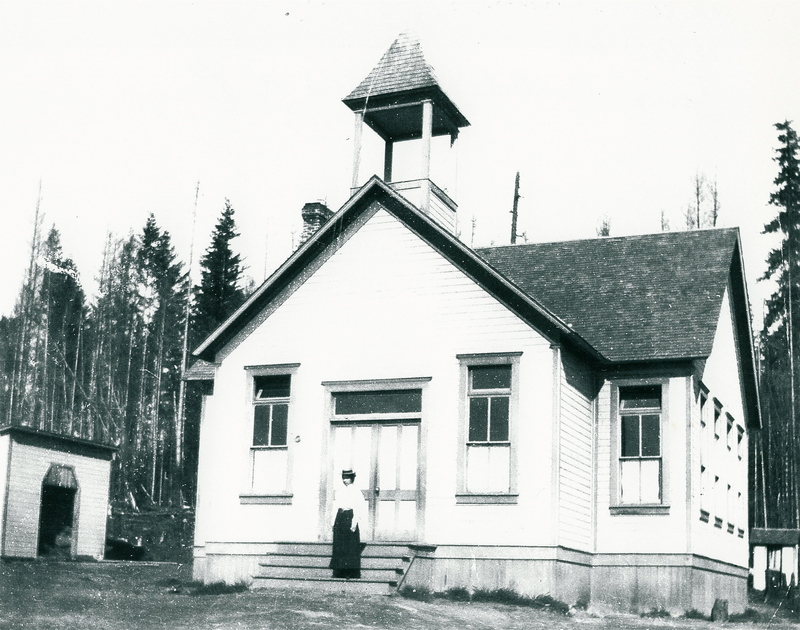 Person standing on the steps is Emma Boettcher college trained missionary & teacher. She was a teacher at this school & the daughter of Carl Boettcher.